Michel will be teaching a 3-day intensive workshop for advanced dye practitioners in Tilburg, the Netherlands, at Zijdelings studio. To take a workshop directly with Michel is an opportunity not to be missed. Aptly titled “Natural Dye workshop: An Intriguing Mix of Secrets and Chemistry,” students will learn to think differently – more inquisitively – about natural dyeing. Topics to be covered: how to set up quick natural indigo vats; quick resist patterns on blue ground using a special paste; alternative sustainable mordant processes; printing by silkscreen; polychromatic designs; and more. I’m interested in dying 100% linen fabric with natural indigo dye. I can’t attend the workshop as I live in Australia. What information can I access so I can learn more about this art. I really hope you can help. 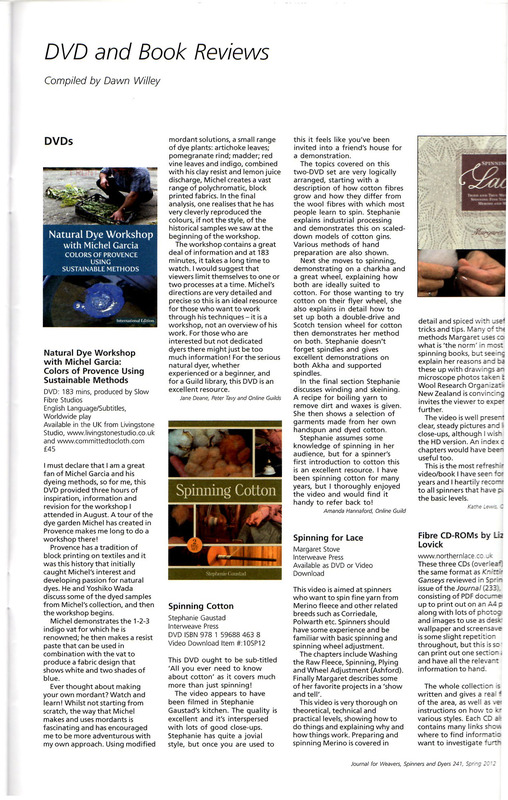 To learn more about dyeing with indigo, we suggest you check out our NDW DVDs 1 & 2 with Michel Garcia. With your purchase, you gain access to our bonus notes section, which contains his 1-2-3 organic indigo vat recipe. Thanks! This entry was posted on April 10, 2012 by World Shibori Network.